The gunman in the deadly Danforth Avenue shooting rampage in Toronto, Canada has been identified as Faisal Hussain. 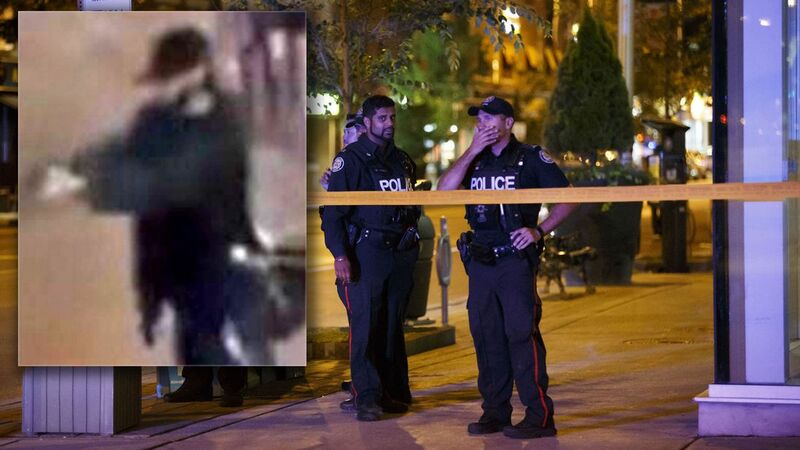 Ontario’s Special Investigations Unit (SIU) confirmed the identity on Monday evening, just hours after Faisal opened fire on several Danforth Avenue restaurants and family-friendly attractions in the city’s Greektown neighborhood on Sunday evening. The attack carried out by the 29-year-old Toronto resident has left the city in utter shock. The attack left a 10-year-old girl and 18-year-old Reese Fallon dead. 13 other shooting victims remain in hospital; doctors said that some of the shooting victims had undergone multiple life-saving surgeries. Hussain died of a gunshot wound following an exchange of fire with Toronto police. The SIU is probing whether he was shot by police, or if he shot himself. The police executed a search warrant at Hussain's residence earlier on Monday, in the city's Thorncliffe Park neighborhood. Witnesses captured several chilling images and videos of Hussain during the attack. Hussain's family emailed a statement to local media stating they are devastated by what happened. They also suggested that their son was struggling with severe mental health challenges, including psychosis and depression. The City of Toronto is mourning the shocking incident. A Muslim with a gun killing white non-Muslims. Could his mental illness really just be PC cover for a Islamic Terrorist in Canada? Also note Canada has tight gun Control laws. Once again proving nuts, criminals and terrorists will always have a gun when they need it, while citizens wait for permission to defend themselves. Use a firearm in a Robbery which results in 1st degree murder by the attacker, then it is a NO option Death Sentence trial. We have too many Liberal DA's playing the game of accepting a confession in exchange for a Life Sentence. no, he was a radical muslim bent on revenge as are they all. it's because you and your "Political Correctness" and "Inclusivity" obsessed political cronies have allowed unfettered and basically unvetted mass 3rd world immigration-with all the "Diversity" that accompanies such an inane policy-i.e. massive gangs of imported criminals, terrorists and socio/psychopaths ! So yes, go ahead and flame away with the predictable kneejerk reactions of "hater" and "bigot"….but first, please notice I did not include ALL immigrants- I am just referring to the very obvious percentage for whom decent Canadian citizens and their innocent offspring have basically become easy prey.